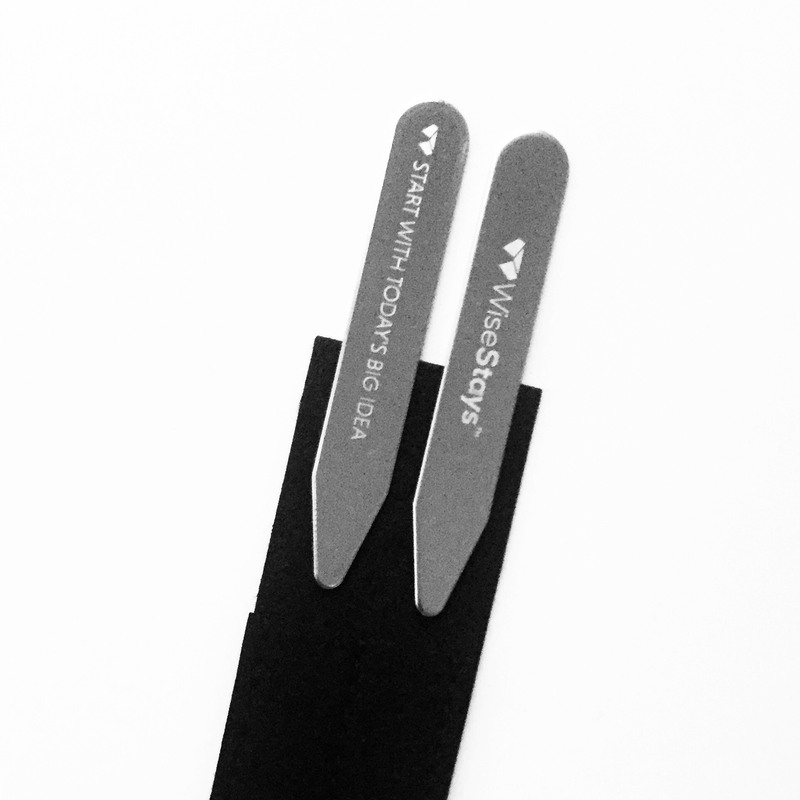 One pair of our premium stainless steel collar stays inside a fabric sleeve. Our logo is engraved on the front and the quote "START WITH TODAY'S BIG IDEA" is engraved on the back of each collar stay. Break free from your brainstorm, bet on yourself and start small today! Shift your mindset by adding our stays to your morning routine! Follow us on our social channels for updates and promotions!